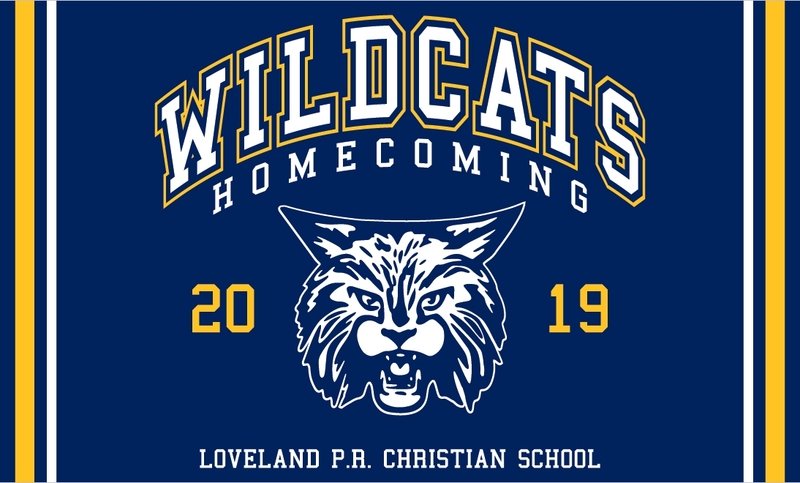 Show your school spirit by sporting a 2019 Loveland PR Christian School Homecoming tee! The web store will be open until 11:59 p.m. on Thursday, January 10, 2019. During the check out process when you are at the Billing Information select Ship to this Address. It then takes you to the Shipping Method where you can choose Local Pick up at the School and all the orders will be shipped directly to the school. When the order is ready to be picked up at the school you will be notified. The price of the shirt includes the shipping to the school. If you choose to have your order shipped directly to your home you will pay an additional $8.99. If you have any questions please contact Lisa at Get Branded 360. Lisa@getbranded360.com or call 712-546-4911.